Outdoor learning has never been this much fun! 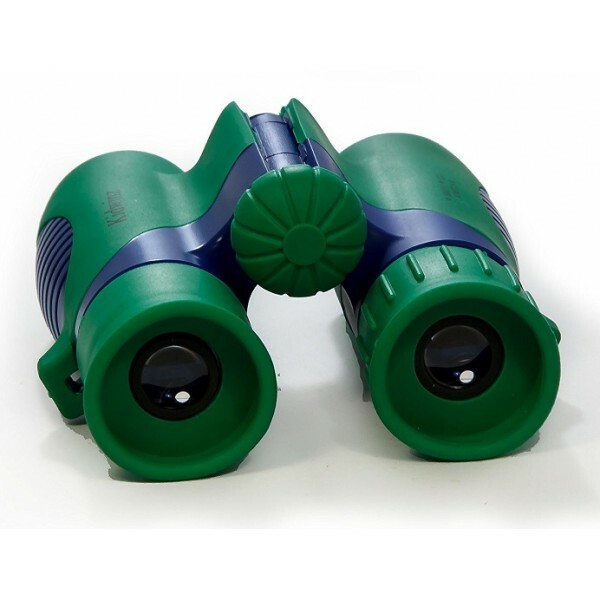 Now with the improved Shock Proof 8 x 21 Binoculars, kids can enjoy and learn at the same time. 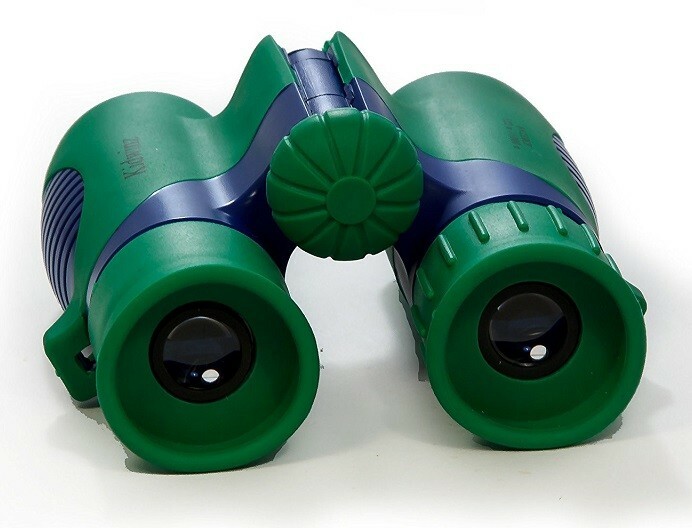 These compact binoculars are designed for kids, with rubber surrounded eyepieces to protect eyes and faces and a shockproof housing so a fall doesn't spoil the fun. The folding design makes it easy for kids to adjust them to their eye to eye width and the focus mechanism is simple to use. They're perfect for birdwatching, hiking, stargazing, and more! 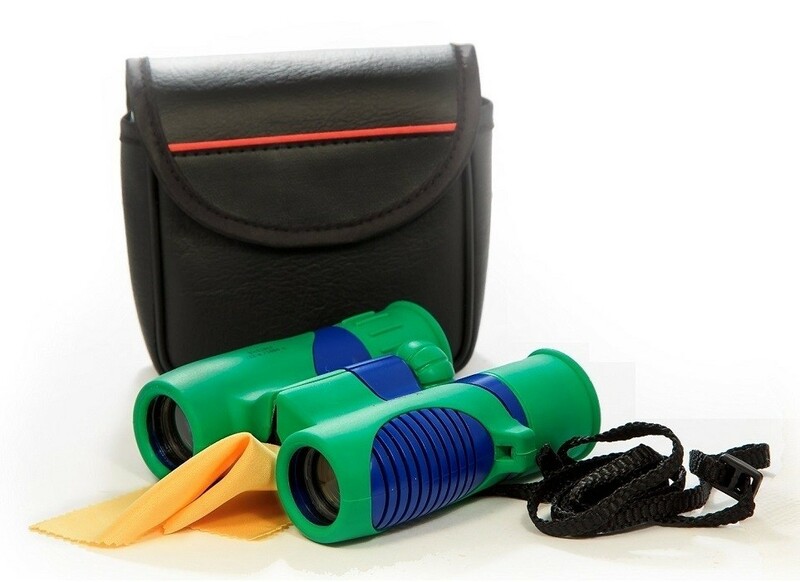 These binoculars come withe a cleaning cloth, a 2 foot neck strap, a carrying case, and a manual.